Welcome back to the Technique Twist! We're completely stuffed from our fantastic Thanksgiving feats & so thankful you are joining us today! Our goal at TTTC is to push the boundaries. Twice a month, we give you a technique along with our own ideas & want to see you what you create to take that technique to the next level. Before we get to the next challenge, we're currently hosting a Design Team Call! If you love trying new techniques & taking them to the next level, we're looking for YOU! Today's challenge is Double Stamping. 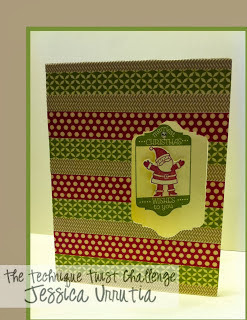 Amber at Damask Love has a fantastic tutorial on how to use Double Stamping. 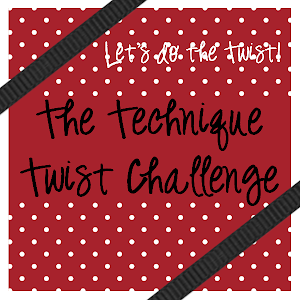 Let's see what the fabulously twisted Design Team has created! Now, it's YOUR turn! 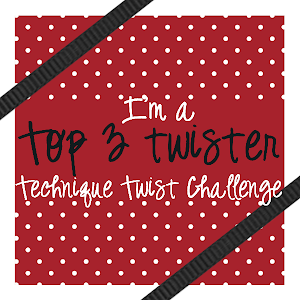 Link up below with your creation & tell us how you twisted the technique by December 15, 2013 at 1159p. Click HERE for our challenge guidelines. If linking up through SCS, use TTTC12 as your keyword. Challenge winners will be announced with the next challenge!